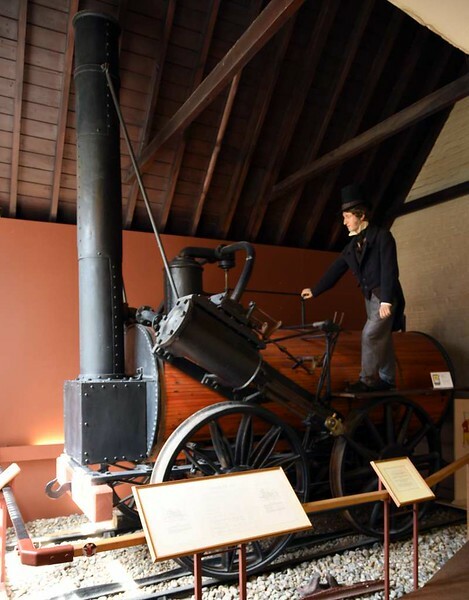 The museum is home to Invicta, an 0-4-0 built in 1830. Here are five photos. Invicta, Canterbury heritage museum, 10 May 2017 1. Invicta was built in 1830 by Robert Stephenson & Co for the opening of the Canterbury & Whitstable Railway. It was not a success, and was withdrawn as early as 1839. But Invicta was not scrapped, and is now the world's longest-preserved loco, though its tender has not survived.